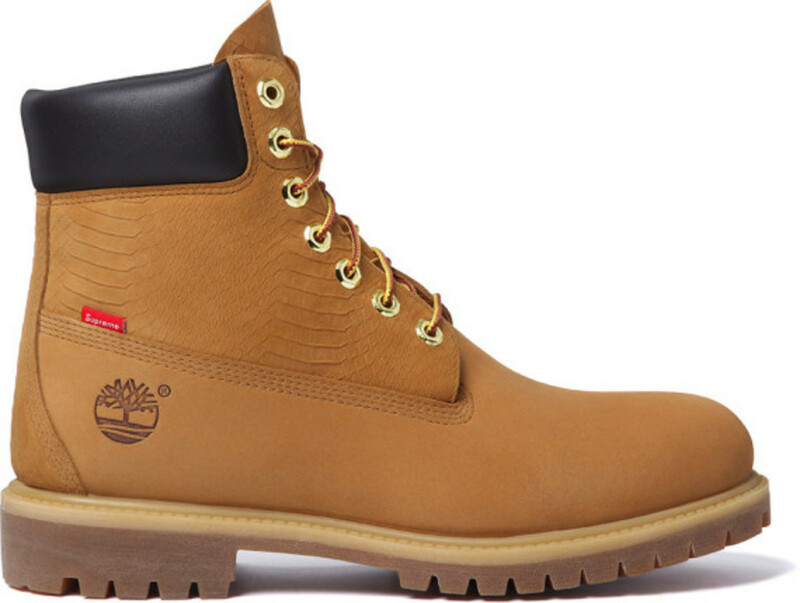 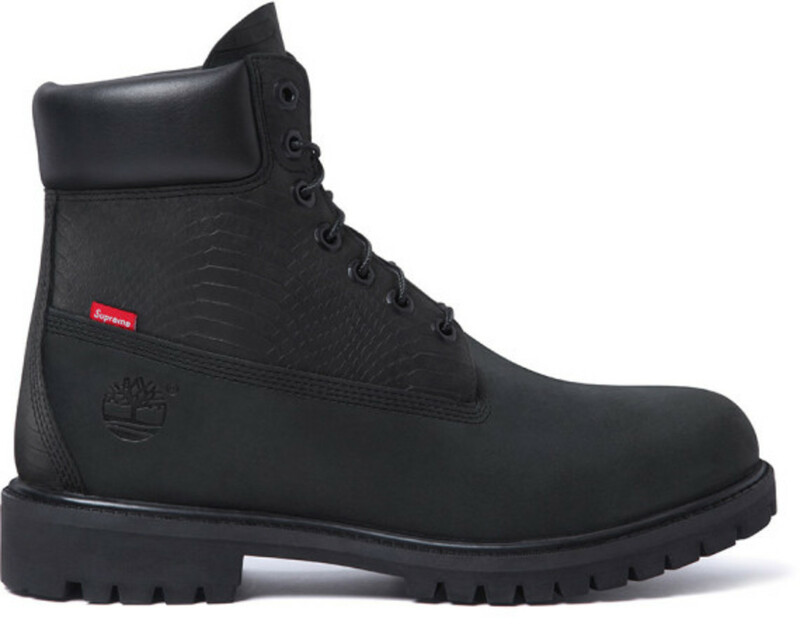 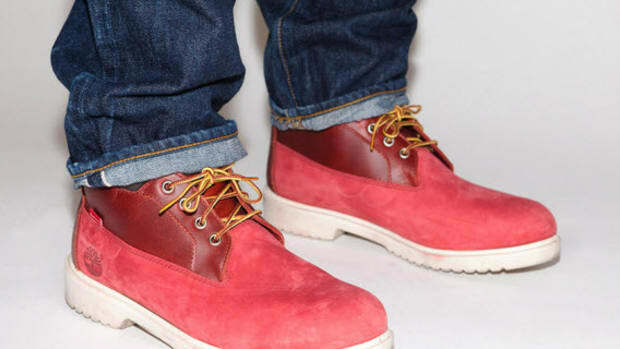 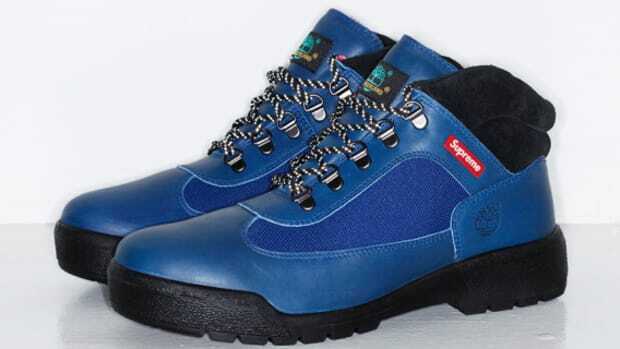 To coincide the 40th anniversary celebration of Timberland&apos;s signature Yellow Boot model, Supreme will be issuing its very own variants later this week. 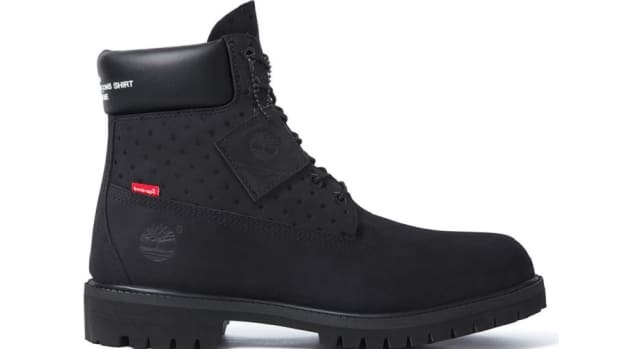 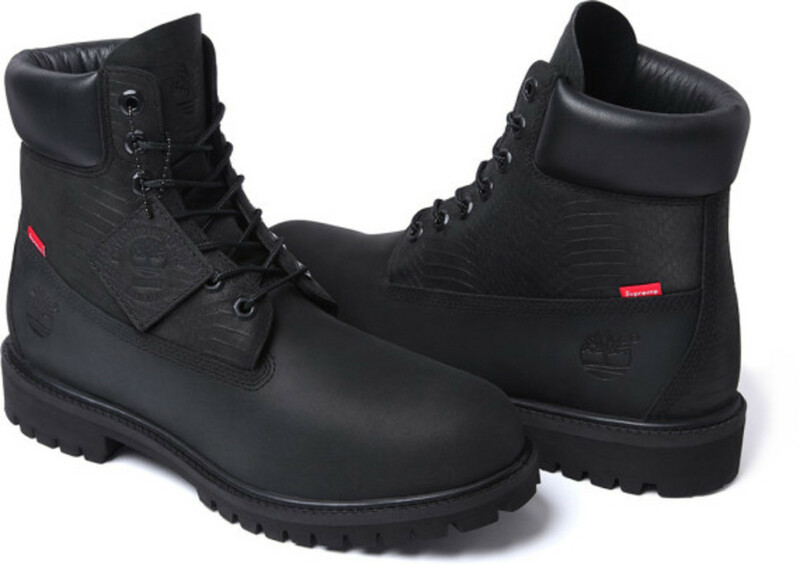 Based on Timberland&apos;s iconic 6-inch silhouette, designers from Supreme added a snakeskin pattern embossment onto the waterproof nubuck and leather upper. 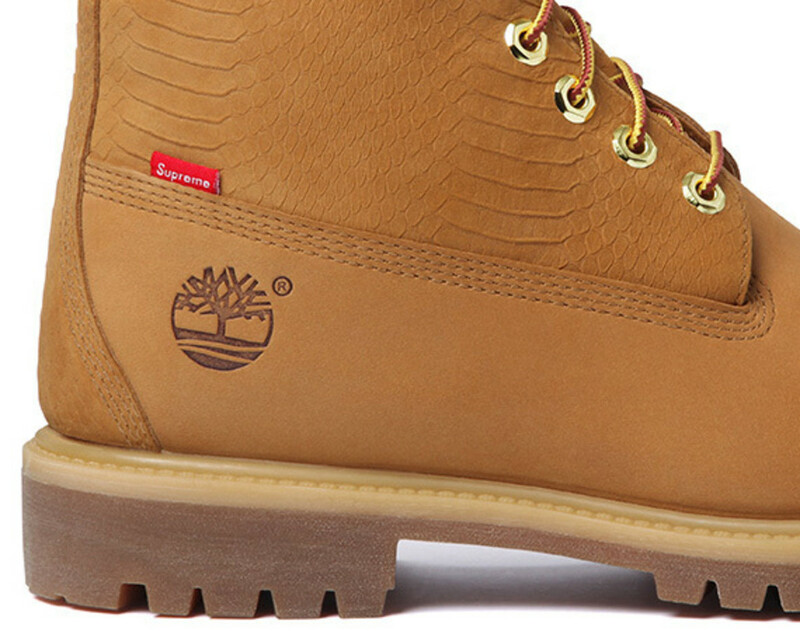 The apparel label/retailer also included a small tab of its famous Supreme box logo along the triple-stitch seam. 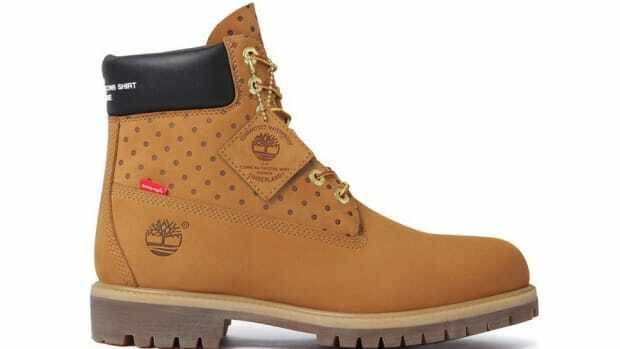 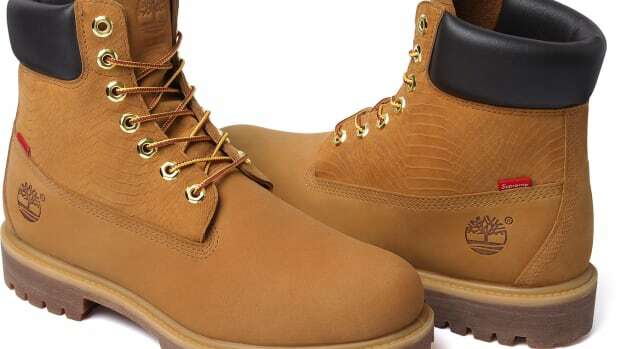 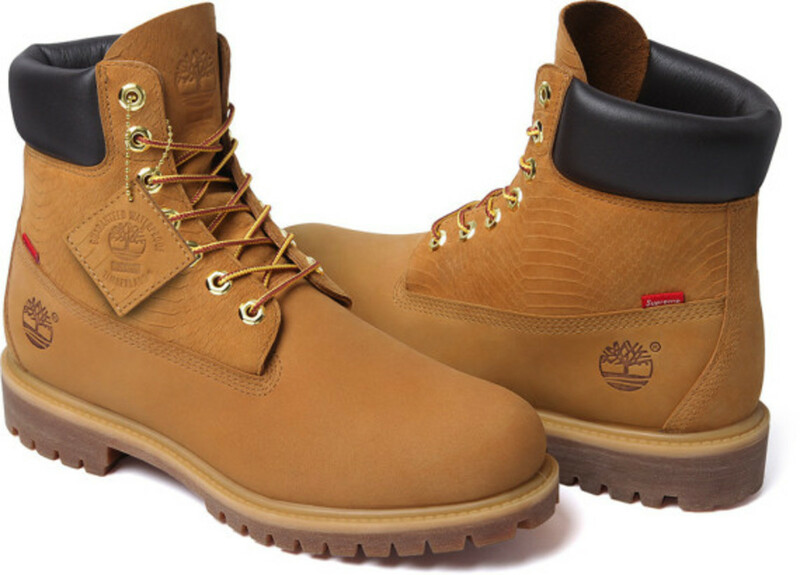 Comes in the original colors of Wheat (Tan) or Black, the Supreme x Timberland - 6-Inch Premium Waterproof Boot will be available this coming Thursday, December 19, at Supreme&apos;s store locations in New York, Los Angeles, London, and its online shop. 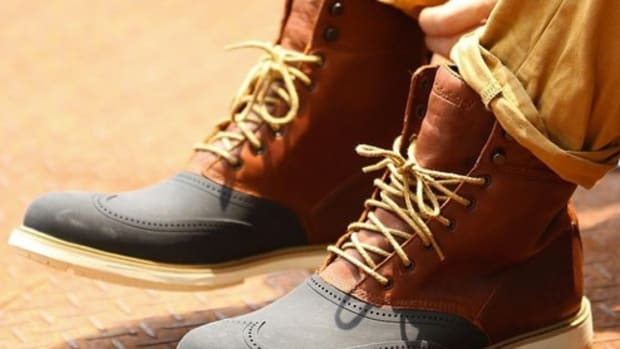 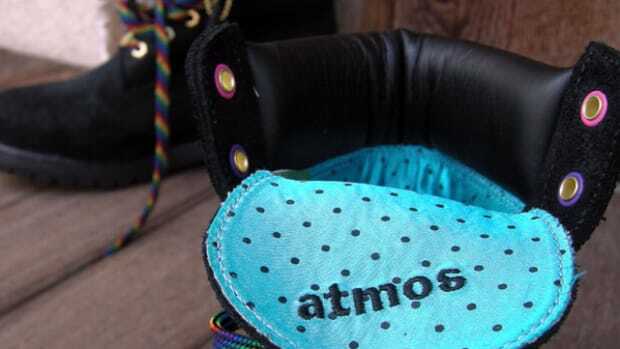 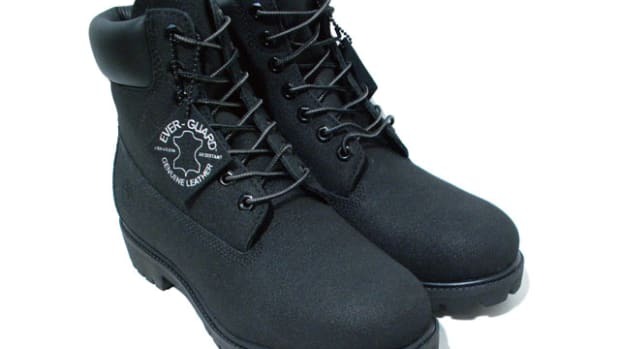 The boots will also be available in Japan through the six stores there starting this Saturday, December 21.